IF : Hello Sakshina, please tell us about yourself. What makes you different? Sakshina : I’m a 20-year-old student from Narsee Monjee College of Commerce and Economics, Mumbai, pursuing Bachelor of Commerce in Management Studies (BMS). My interests and hobbies include reading novels and comic strips, writing, public speaking, traveling, photography, music, sitcoms, solving deductive reasoning puzzles, Anime/Manga and surfing Quora. IF: Which internship did you get the chance to take? What is it all about? Stipend, duration, place? Sakshina : I have done internships with renowned companies such as Greenpeace, KPMG & c-Kinetics but my longest and most enjoyable stint has been at TEDxGateway, 2014. It was an unpaid internship of around 3 months (7th August-2nd November). The office is located in the heart of the same city as I live in, Mumbai; the area is known as Prabhadevi. IF: How did you come to know about the internship? To what all sources you kept yourself connected? Sakshina : TEDxGateway conducted an event – an interactive session with BITS-ian & founder of Examify, Angad Nadkarni, in our college. Those of us interested in the internship were asked to help TEDx team members in setting up the event. The college always ensures to inform its students of any such opportunity. Sakshina : Since there were just 11 of us, they extended the internship offer to all of us, instead of short listing potential candidates. There are no prerequisites to apply for this internship, per se, except that interns have to be from degree college, or an equivalent. Those with more and higher qualifications can of course apply too, and probably for better positions! IF: How competitive is the selection process? Sakshina : Seeing our extensive interest in landing an internship, coordination skills, and the event unfolding smoothly, they decided to recruit all of us. The attribute of being cooperative, patient, quick and understanding played a key role for each intern to get hired. IF: About when did you get the news for the selection? How was the celebration? Sakshina : It was immediately after the event concluded that we reveled in the good news. Soon thereafter, we were all allotted the Speaker Curation Department. Our main work included providing the speakers with a framework of guidelines for a well-remembered TED talk and continuous feedback for further scope of improvement. IF: What all preparations you made (academic/otherwise) after the results of the internship? Sakshina : The profile of a Speaker Curator may not fit the bill to be incorporated as useful work experience for a management student, but it counted a lot on a personal level as we interacted with speakers who were connoisseurs in their respective fields. We definitely learnt a great deal from each of them. Besides, association with a world-renowned brand like TEDxGateway has surely proven to be helpful in bagging good internships later as well. Sakshina : Best thing about the work culture at TEDxGateway was that it was informal and treated everyone equally. Our head curators would often order out splendid cuisine for everybody. They also let us take a leave from 2 weeks before our exams started, so they were quite sympathetic towards students. IF: What all support you received from TEDx administration? Sakshina : They have always pushed us to do better by giving us suitable work and deadlines, we can meet conveniently. The office was far from from where most of us studied and seldom did they ask us to stay back for a long time. IF: Let’s now talk about some negatives. What problems you or your friends faced, regards to the internship, which your juniors may be able to avoid. Sakshina : One major drawback was that there wasn’t effective communication between the interns and the organization. So many a time, we would turn up either too early or too late. As for girls’ safety, Mumbai is a fairly safe place to live in & travel. We would usually wrap up work by 7pm. The latest I’ve stayed back was on a Sunday night till 9pm. IF: Have you done any other internship/training before? It would help the readers if you could bring a comparison between your two/more different experiences. Sakshina : I had interned with Greenpeace prior to TEDx but the work profile of a fundraiser is completely different. Nothing overlaps between the two internships so they cannot be compared with one another in any aspect. IF: To whom all would you like to thank in context of this internship? Sakshina : I would like to thank my college a lot, for TEDx would’ve never conducted an event had the college not granted them permission. IF: How much difference this period of 3 months made in your intellectual capabilities and mindset. In broad terms what are your gains from this? Sakshina : Interacting with people belonging to different fields helped us to gauge an overall in-depth knowledge of almost all subjects involved, especially owing to the research work we did there. Sakshina : Being aware in general and keeping tabs on all events, backed by a little research beforehand if required, that happen within as well as outside college is the key to landing good internships within one’s set of interests. 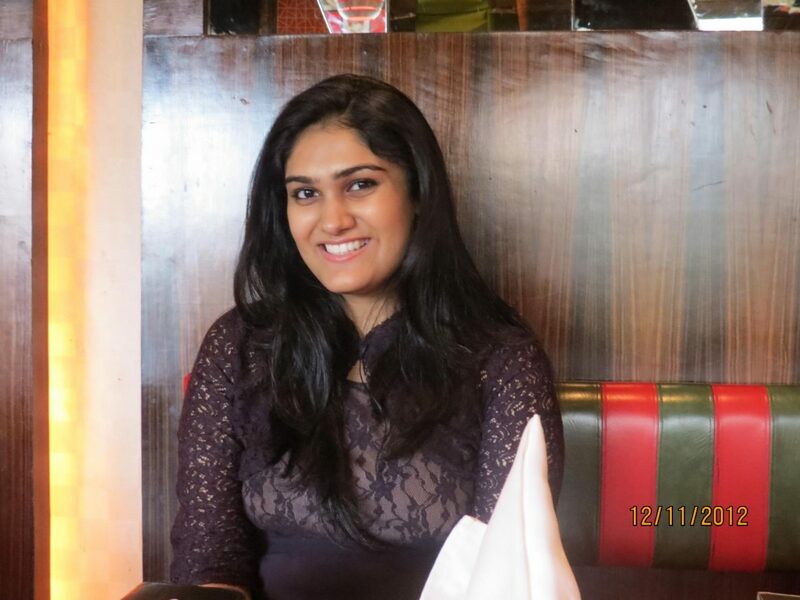 Sakshina : I have already started off my internship at KPMG, which was again through college. I’m still exploring different areas so I ensure that each internship, I choose covers a different skill set. However, the work ethic that I imbibed in this internship would definitely have an impact on the next one. Sakshina : I think it is wonderful to provide an insight to students all over India on various internships and first-hand accounts of experiences. This most certainly helps in narrowing down one’s list of options in a world where there are so many, thereby creating plenty of perplexity. IF: Sakshina it was so nice to know all about this. We agree with you would have been busy with your academics. Even then, you took out time for this. We thank you and wish you the best of luck for all your future endeavors. Sakshina : Thank you so much. Keep up the good work, IF!